Okay, I don’t even know what to say here. I really don’t like to yank entire articles, but I just can’t come up with an alternative. 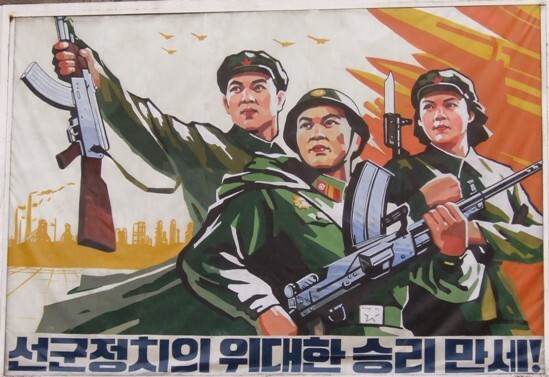 Pyongyang, June 8 (KCNA) — The Second Corps of the south Korean puppet army announced that it would stage military exercises for ground cooperation in the areas of Chunchon and Hwachon of south Korean Kangwon Province from June 9 to 11, according to the south Korean Yonhap News. The Lee Myung Bak group of traitors is making desperate efforts to bring the dark clouds of a war of aggression to hang over Korea, still inciting inter-Korean confrontation, oblivious of the lesson taught by the stern judgment meted out to it by the people. This entry was posted in Media and tagged KCNA, North Korea on June 9, 2010 by Tom. I’ll do this every now and then — no real schedule. Here are some of my favorite stories from North Korea’s official news outlet, the Korea Central News Agency. New Plant Discovered in DPRK: Yes, this refers to vegetation. It’s named the Hyangsan cuckooflower, or the less entertaining Cardamine hyangsanensis S.K.KO et J.O.Ri, Sp.nov. Hu Jintao Invites Kim Jong Il to Visit: Where else in the world does an invitation become major news? It’s like “Migrant Blogger invited to get 20% off any bestseller (paperback only) at Barnes & Noble.” Yeah, KJI and I are among the elite. This entry was posted in Politics, Travel and tagged Cardamine, detente, DPRK, Hu Jintao, Hyangsan cuckooflower, KCNA, Kim Jong Il, Korea Central News Agency, North Korea on November 4, 2009 by Tom.